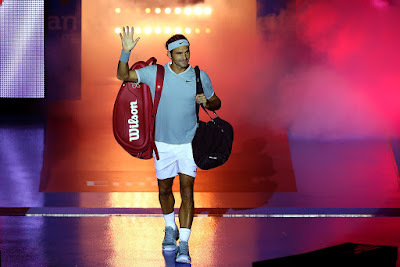 Roger Federer returned from six months on the sidelines with a knee injury to beat Dan Evans 6-3, 6-4 on Monday and lead Switzerland to an opening 3-0 win over Great Britain at the Hopman Cup mixed teams tournament. The 17-time major winner missed the French Open last year, ending a run of 65 consecutive Grand Slam tournaments, and hadn't played competitively since re-injuring his surgically repaired left knee at Wimbledon in July. But he showed no signs of rust in his 61-minute win over Evans. 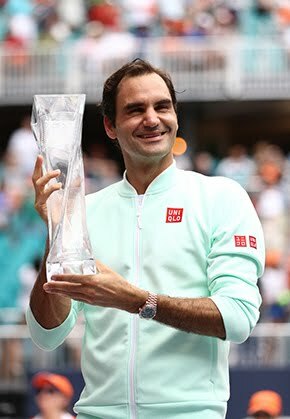 The 35-year-old Federer said it was the kind of feeling he missed the most while he was sidelined. "It felt good putting the match shirt back on, and serving first, and then trying to serve it out at the end. "They are the moments I miss the most, even though those are the ones that make you nervous. "That’s what you play tennis for. I thought for a first match it was great, because my expectations were obviously quite low." Belinda Bencic held off Heather Watson 7-5, 3-6, 6-2 later Monday to give Switzerland an unbeatable 2-0 lead. 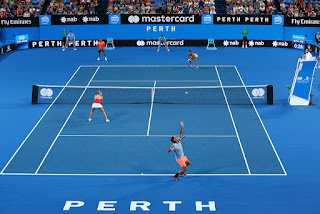 Federer and Bencic easily completed the sweep in the mixed doubles, beating Evans and Watson 4-0, 4-1. 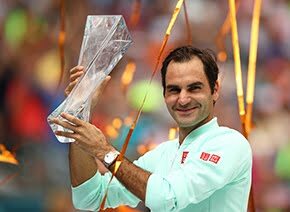 Federer said he's looking for as many matches as possible in Perth ahead of the Australian Open, which starts 16 January in Melbourne. He hasn't won a Grand Slam title since 2012 at Wimbledon, and hasn't won the Australian Open title since 2010, but hasn't given up hope of extending his record in the majors. ''After all these years, it would be nice to win another one - of course I'd even take two or three or four,'' he said. ''We'll see. It's tough at the top. A lot of good guys are there right now, a lot of young guys are coming up too. The gap is definitely not very big but I'll give it a chance, and see what happens." Federer said he had spent plenty of time on conditioning during his break from the game and felt pain free. 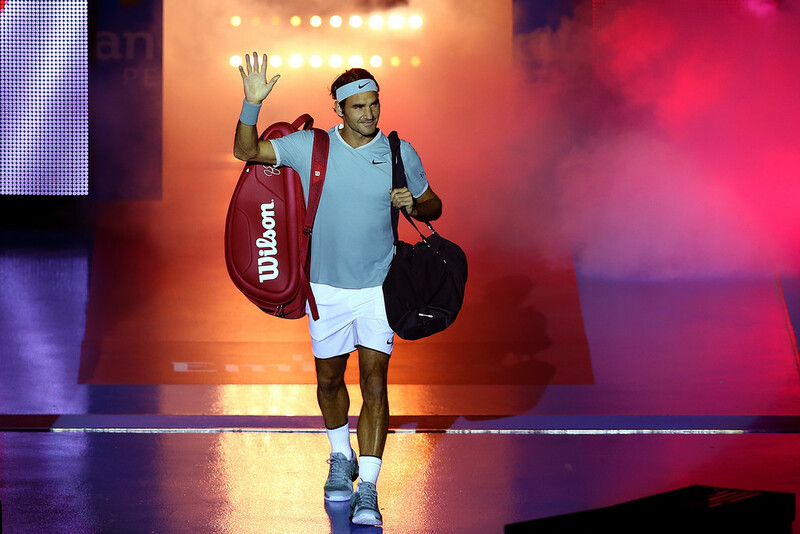 "For three or four weeks now I’ve stopped thinking of it, because I don’t have any reactions anymore," Federer said. Switzerland is set to play Germany on Wednesday and France on Friday, with the winning team in Group A qualifying for Saturday's final. 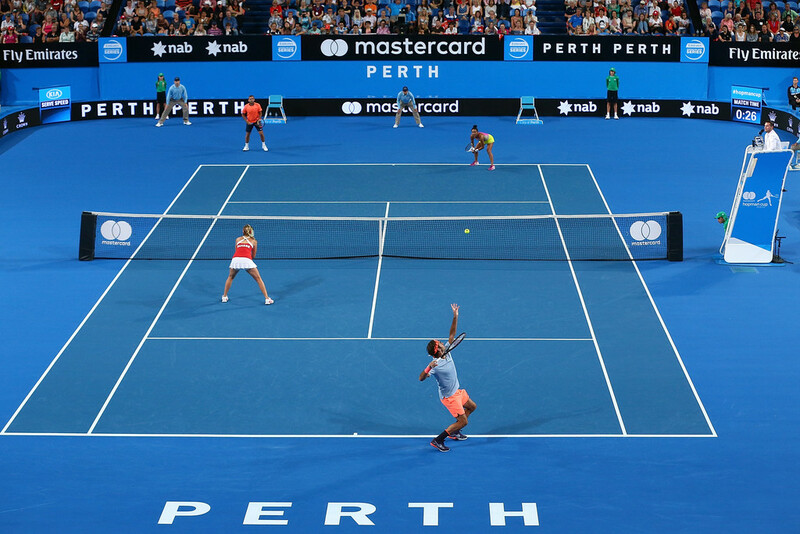 France beat Germany 2-1 earlier Monday, with Richard Gasquet defeating Alexander Zverev 7-5, 6-3 and combining with Kristina Mladenovic to win the deciding mixed doubles, which is being played in the Fast4 format, 4-2, 4-1. Andrea Petkovic had earlier beaten Mladenovic 6-2, 6-1 in the women's singles.